We are so excited that you have chosen to become part of our Dream Practice. 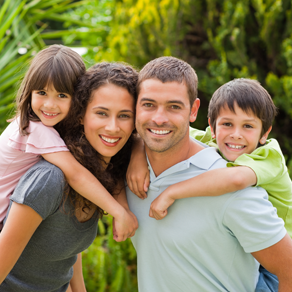 We are committed to providing the best dental care to everyone within our community. Dr. Rockwood has spent many years perfecting his skills while working with some of the most anxious and nervous dental patients around. He absolutely loves working with children. A father of six, he knows how to listen and personalize care for these special little people. The Health and Comfort of your Family are our top priorities. We will do what it takes to help every patient understand their symptoms and treatment options in a relaxed office setting. As our special patients you will sit comfortably in our brand new dental office while looking out over the beautiful fairways of Marshfield’s very own Whispering Oaks Golf Course. Our mission is to effectively listen, diagnose, educate and provide the best dental care available. We’ve designed this website to provide you with everything you need to feel comfortable and confident in our dental team. We encourage you to browse our office page to familiarize yourself with our team, the services we provide, and our patient education library. We are here to not only provide you with great dental care, but also to provide you with the education and tools you need to make the best decisions about your overall health. For your convenience, you can also request an appointment online and download patient forms directly from our website making your initial visit more about relationship building and comfortable conversation rather than paperwork. Feel free to contact our office with any of your dental health questions. We look forward to making each and every visit to our office a wonderful and positive experience! Doctor Rockwood has been in practice since 2006. He graduated from the UMKC School of Dentistry and currently serves in the US Navy Reserve. Dentistry encompasses an array of services and procedures with one common goal: to help you preserve your natural teeth, ensure your oral health, and keep you looking and feeling great. These services may include fillings, bonding, crowns, veneers and implants. Here at Rockwood Family Dental we love to see children! It's important that children come into the office at an early age so we can begin building relationships of trust and assist you in developing healthy habits for your kiddos. 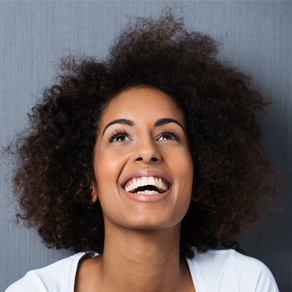 Invisalign® can be a wonderful alternative to conventional metal braces when it comes to creating a smile that makes you feel more confident and comfortable. Whitening procedures can renew your beautiful smile, get rid of unwanted stains and restore your confidence. Having your teeth professionally cleaned and examined will help to ensure your smile lasts a lifetime. Dr. Rockwood utilizes the newest technology and advances in dentistry to assist in his decision making and treatment planning process. Oral surgery is sometimes needed following trauma to the teeth, when preparing for braces, or while dealing with a bad toothache. Dr. Rockwood has had extensive training and experience in extracting teeth and providing relief from tooth pain and discomfort. Some individuals find themselves in need of replacing some or even all of their teeth. A partial or complete denture is a great option to help people feel confident and comfortable smiling again. Advances in Dental Technology are happening at a rapid pace. Our office is committed to staying ahead of the curve and in providing the most advanced materials and techniques available.